Jubilant DraxImage Inc. is a global leader in the development, manufacturing, and commercialization of radiopharmaceuticals and medical devices used for the diagnosis and treatment of disease. They provide high quality and reliable specialty products to hospital-based customers and radiopharmacies worldwide and ultimately through them patients. They are committed to Improving Life through Nuclear Medicine. Bracco Imaging offers products and solutions for all key diagnostic imaging modalities: X-ray (including Computed Tomography, Interventional Radiology, and Cardiac Catheterization), Magnetic Resonance Imaging, Contrast Enhanced Ultrasound, and Nuclear Medicine through radioactive tracers. This portfolio is complimented by a range of medical devices and advanced administration systems. MIM Software Inc. provides vendor-neutral solutions for multi-modality image fusion, processing, and review for radiology and nuclear medicine. MIM specializes in serial exam review and quantitative therapy response assessment, saving significant time per patient while providing additional diagnostic information. Solutions are offered for computer workstations, thin-client, and cloud-based platforms. 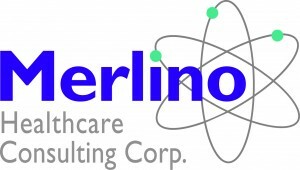 Merlino Healthcare Consulting provides professional coding and strategic health policy reimbursement advocacy, guidance and education to medical imaging organizations, healthcare professionals and industry. The company provides current, accurate, relevant, coding, coverage, payment and health care strategy and payment policy information for their clients’ specific needs, creating and transforming complex payment systems into clear and manageable business opportunities. Nihon Medi-Physics Co., Ltd., Japan, has been contributing to society through useful healthcare products that utilize the unique features of radioisotopes. We are committed to ensuring a stable supply of high quality products as well as continuing to develop new products and technologies that meet medical needs. Pharmalucence, a Sun Pharma company, is a New England based parenteral drug manufacturer specializing in aseptic liquid and lyophilized fill and finish. We manufacture an extensive line of Technetium Tc 99m radiopharmaceutical cold kits including Sestamibi, Mebrofenin, Hepatolite®, Pyrophosphate, Sulfur Colloid and MDP. Our new 70,000 square foot manufacturing facility is the region’s first to employ state of the art automated isolator manufacturing technology supporting worldwide safety and compliance capabilities. We are also currently gearing up to manufacture other Sun Pharma injectable products as we develop into their U.S. injectable manufacturing center of excellence. Telix Pharmaceuticals Limited (Telix) (ASX:TLX) is a clinical-stage biopharmaceutical company focused on the development of diagnostic and therapeutic products based on targeted radiopharmaceuticals or “molecularly-targeted radiation” (MTR). Current pipeline oncology assets are in renal cancer, prostate cancer, and glioblastoma. Please see www.telixpharma.com and www.illumet.com for the more information.